I openly advocate paying full price and avoiding “bargain hunting”. Of course, people ask me why on earth I would possibly want to do such a crazy thing, so here’s why! 1) It makes you stop and think before you buy. It puts in that little delay that gives your mind a chance to catch up with your heart. We buy on emotion and justify later with logic. We need to short-circuit that. We need to think “Do I really NEED this?” before “Oooh! 40% off! How could I NOT buy this? I’m sure I’ll find a use for it”. 2) You value the item more. You aren’t going to spend a lot of money on something you don’t value, and you don’t value something you don’t spend a lot of money on. You will care for it, repair it instead of discard it, love it, nurture it. It will last longer. 3) The item will be used. You are far more likely to use something if you have paid full price, because you are less likely to compromise. Shoes are half a size too small and not in your colour? Well that’s okay because it’s 40% off and therefore only $35. Then they never get worn because they hurt your feet and don’t match anything you own. But if you’re spending $140 on a pair of shoes, you’re not going to walk out unless they are absolutely bloody perfect. 4) You buy less items because you are spending more on each one. Your home is therefore less cluttered. Less clutter equals less maintenance, equals more time for rest/play. 5) You can’t use the bargain to justify the purchase. You have to use something else to justify it. It makes you more accountable. It makes you think hard about the item, its value, its usefulness, its versatility, its quality. 6) You become more discerning about ‘cheaper’ items. You question discounts, you question manufacturing ethics and the environment. You become a more responsible consumer and when we have more responsible consumers, we have more responsible suppliers. 7) You buy intentionally. You don’t only buy on Black Friday (or if you do, it’s something you placed on your “want to buy when it’s on sale because I’ve thought long and hard about it and don’t have to rush to get it” list months before). Your trigger to purchase isn’t a sale, or a rack, or a sign out the front, or a catalogue. Your trigger to buy is a NEED. What if you just have a disorganised personality? I often talk in my presentations about personalities that are more prone to clutter than others. Those personalities are ones that are creative, intelligent, and love information. They are often easily distracted and don’t finish things well. They’re great at ideas, but kind of go off on a tangent and don’t always follow through. I’m one of those myself. Someone once stood up and asked “So if I have that personality, how do I keep my house under control? I don’t think I can completely change who I am”. She was right, we can’t completely change the way we are. She will always be like that. I will always be me. I can put in place systems or organisation, but I’ll still default to those behaviours a lot of the time. I’ll still be a bit messy and forgetful and lack focus. But being like that is not a bad thing, because those personalities are also pretty bloody awesome. We’re warm, empathetic, intelligent, creative and fun. Have less stuff, and do less things. The simpler your life is, the less impact your unhelpful habits can have. It’s not how your space looks that matters, it’s how it makes you feel. If you stand in front of a space or in a doorway and think “I’ve got this. I can handle this” then you don’t really need to change much. If you stand in front of a space or in a doorway and your heart rate goes up, you feel stressed, you feel the urge to escape or you don’t know where to start; then change is needed. It doesn’t have to look good. It doesn’t have to be perfect. It just needs to be under control. Don’t worry about how it should look, or how you think others think it should look. Don’t worry about what your neighbour’s looks like, or your sister’s, or the other school parents. Don’t compare your home to the ones you see on TV or in magazines. As long as you feel like you’ve got control of it, it doesn’t really matter what it looks like. It’s how you feel in your home that matters. 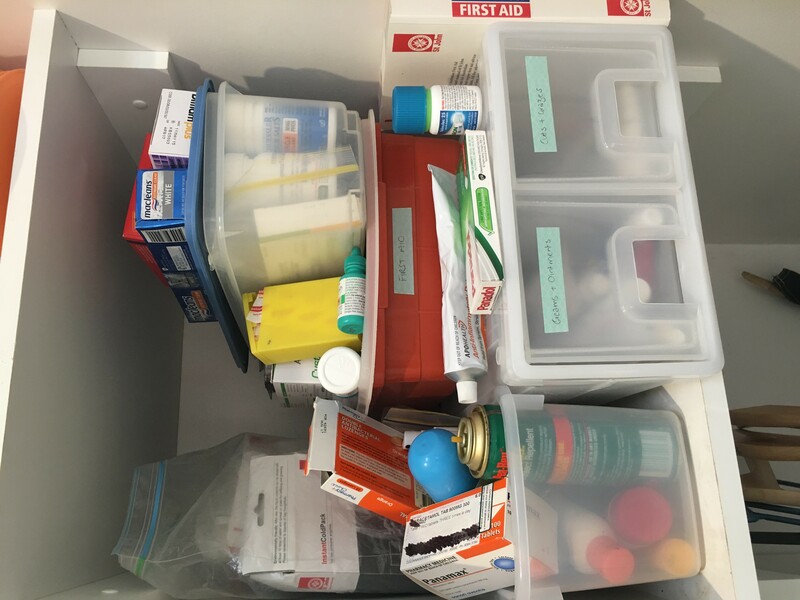 A common theme among my clients with high levels of clutter, particularly those who are “information collectors” or “crafters”, is a very high number of interests. The more interests you are actively pursuing, the more stuff you accumulate. The more stuff you accumulate, the more time it takes you away from your interests. Take stock. How many interests do you have? And how much do you even get to enjoy them? Ironically, the more supplies people have, the less they actually do. I know you need your hobbies and pursuits for your mental health, but do you need all of them at the same time? Our lives are long enough to pick a few favourites at a time. Consider dropping some altogether, or putting a lot of them on hold. “You CAN have it all, just not all at once”. I always laugh when I see “decluttering” blogs or posts saying “Declutter tip: put your stuff in plastic tubs to organise it better” or “Get rid of your clutter by using these lovely baskets”. Ah…nope. That’s just making it neater. 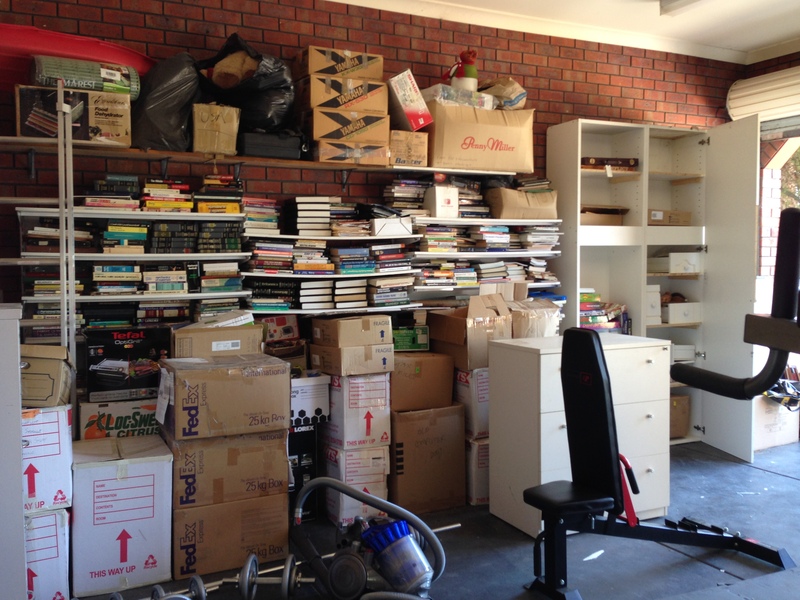 That’s not decluttering at all – at best it’s organising, at worst it’s “churning”, where you sort and re-sort continually in an effort to take control, purchasing more things to put stuff in, spending more money and taking up more space. 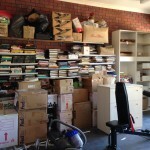 Decluttering means to remove it from your home altogether. If it’s not there, you don’t have to expend the effort on sorting and more sorting, and you don’t have spend money on storing it! I have been mulling over a passing comment someone said to me recently. It made me feel as though I (as a Professional Organiser) was generally regarded as judgmental and a promoter of perfection. I want it clear that Clear Space is NOT about making everyone a perfectionist. I don’t promote an unhealthy obsession with cleaning or minimalism. 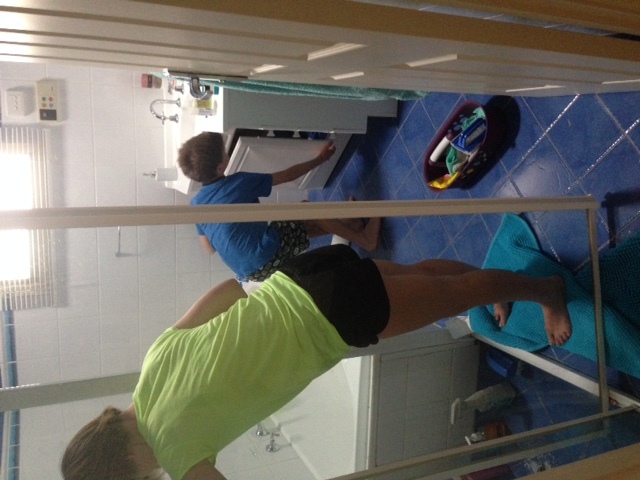 I don’t think that a clean house is a sign of a better parent. Nor do I think that a messy house is a sign of a dysfunctional family or poor parenting. 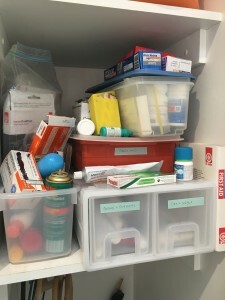 I don’t think that anyone “should” be anything – organised, not organised, messy, clean etc. They should be doing what makes them, and their families, happy. I am here for people who are in a mess/muddle/overwhelm/block and they want to change. I will then help them change. I NEVER judge someone by how much stuff they have, don’t have, or how clean it is. I certainly couldn’t live like some of my clients do, but they don’t want to live like that, either, so we roll up our sleeves and try to meet their needs. I have friends who live in chaos, and friends who live in show homes (and clients in both categories, too!). I love them all the same! I’m somewhere in the middle myself, and I’m happy there.